Causes symptoms tinnitus hearing loss: UK industrial disease lawyer explains the symptoms you will experience if you are suffering from hearing loss and tinnitus, the likely causes of those symptoms, how to claim compensation from an employer or past employer for excessive noise exposure and how to still claim when an employer is no longer in business. What are the symptoms of hearing loss and tinnitus? The symptoms of hearing loss are generally first noticed by friends and family – typically taking the form of complaints that the TV or radio is turned up too loud and that you are missing what people are saying. 1. Family members tell you that you are missing the doorbell or the telephone ringing. 2. Complaints that the TV in the family home is regularly being turned up too high. 3. Missing conversation when you are at family or social gatherings or other events when there is some form of background noise. 4. Difficulties in knowing the direction of sound which you can hear – trying to find your mobile phone when it is ringing. 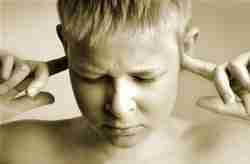 Tinnitus is a type of hearing problem resulting in buzzing, hissing or whistling sound in the ears. Generally the symptoms of tinnitus develop gradually – starting as an occasional buzzing in one ear, moving to the other ear and ending with a continuous buzzing sound. Tinnitus is graded from mild to severe: mild tinnitus being occasional or a low level buzzing sound (most noticeable in bed at night) and severe tinnitus being a loud buzzing sound in both ears affecting you all day and night and hampering your ability to function correctly. What are the causes of hearing loss and tinnitus? Your ear is made up of three main parts – known as the inner ear (cochlea and the auditory nerve to the brain), the middle ear (bones known as ossicles, the anvil and the stirrup) and the outer ear (the ear itself and the eardrum). As you get older your hearing becomes worse. Accidents such as road traffic accidents can causes ear damage with associated hearing loss and tinnitus. Ear infection can lead to total deafness and can come about very quickly. If you work or have previously worked in a noisy work environment, such as in mines, factories, assembly lines, mills, etc, the chances are you will have been exposed to loud machines and tools. Noise induced hearing loss (industrial deafness) and tinnitus are progressive conditions so the longer you are exposed the more damage is likely to have been caused. Single explosive events, such as at: construction sites, demolition sites or aeronautical workplaces can lead to instantaneous hearing damage. Hearing loss and tinnitus symptoms can on occasion just occur without any obvious known cause. 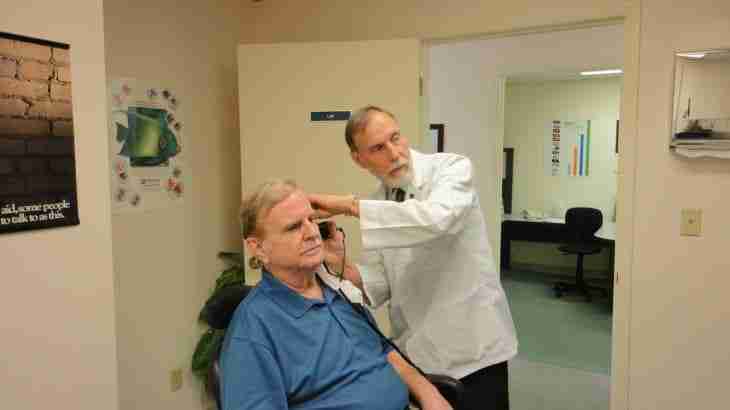 What should you do if you are suffering symptoms of hearing loss? If you are suffering symptoms of hearing loss you should inform your GP and have your hearing tested. If you work or have worked in a noisy environment it is likely you will be entitled to claim compensation from your current or past employer. Can you claim compensation from an employer who is no longer in business? “Yes” – even if your former employers are no longer in business a solicitor can trace the insurance which was in place at the time you worked at the company and make a claim for compensation on your behalf. A claim for compensation can be made from all of the employers who exposed you to excessive noise. How do you claim compensation if you have symptoms of hearing loss which were caused by exposure to loud work noise? The process for claiming compensation from the employers who have caused your industrial deafness, hearing loss and tinnitus is extremely complex. I recommend you click causes symptoms tinnitus hearing loss to have me assess your claim online free of charge or to arrange a call back so I can speak to you in person about your work history which could have caused the hearing loss symptoms you are suffering.